In the past the car proprietors in India viewed their vehicles as a kind of prized belonging or some kind of an asset and kept them for really long period or maybe a life time with themselves. Earlier these cars were owned by a few people of one particular class of people and affording these vehicles was not everybody’s cup of tea. But then with time there have been radical changes in the scenario. Today there are several hatchbacks that can be easily afforded by many people of different classes. Today buying of vehicles in not restricted to the upper classes. Today people also engage in buying used car that are financed and the seller selling it also sells it so that he can buy a more extravagant vehicle than the existing one. Today, there are several options of vehicles at each value point that one can consider. Right from the small budget vehicles to super-cantinas and extravagance SUV’s with their stunning prices, all are easily accessible here. In addition there is discretionary cash flow in the economy along with it has grown the consciousness of car purchasers. Today, it isn’t exceptional to find out that a seller is selling his hatchback or SUV which is financed and the period is still going on and because he is attracted to the swanky new SUV that has been launched recently. Buying a financed is not as difficult as it seems. 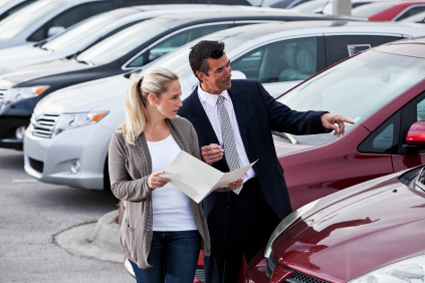 There are just certain procedures that one should keep in mind when one is buying a financed car. In India there is a typical pattern of how the financing of the car works and there are some rules and regulations that must be dealt with when offering a vehicle whose advance hasn’t been paid off. This is on the grounds that, notwithstanding the purchaser and vender of the auto, there’s additionally the bank or the financial institution that has lent the cash for its buy in any case. To solve this, the simplest approach to start is by checking the Registration book/card to check whether the hypothetical is still sustaining for the vehicle. Next is to address the bank to see if exactly the amount of the credit is still remaining that has to be paid off. This is on account of, the duty of the proprietor that the ownership of the loan should also be transferred from the present owner to the future buyer. The buyer of the vehicle should know very clearly how much of the loan has been repaid and still how much due is left which he has to pay. Abandoning the loan is another option that is well known when offering a loan for a vehicle. In these circumstances, the vender now and again utilizes the procedures from the deal to close the advance before it is expected for reimbursement. A few purchasers pay the credit to the moneylender and then the balance is settled by the seller.